As soon as I exited the car I was greeted with the sounds of saxophones belting out jazz tunes, upright basses keeping time, and the chitter-chatter of conversations at every corner. My apartment (found off Airbnb) was in the heart of the French Quarter. It hadn’t yet been renovated, which meant the balcony sloped down towards the street and it oozed with the air of New Orleans voodoo. 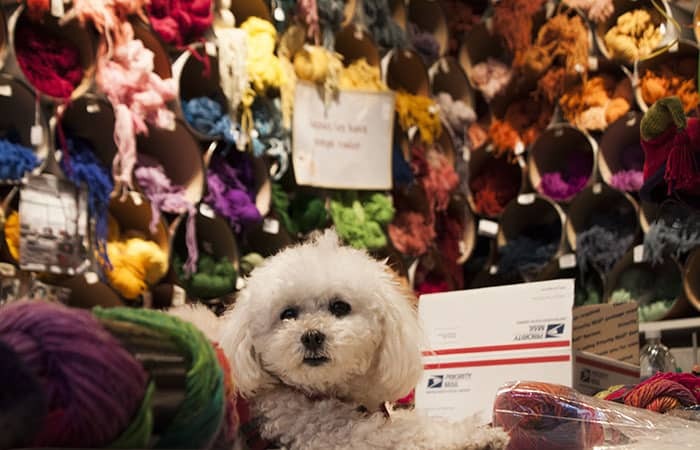 The Quarter Stitch – just down the street from my apartment – was a rainbow explosion of high-quality yarn and handmade goods. This little pup standing guard was an added bonus. 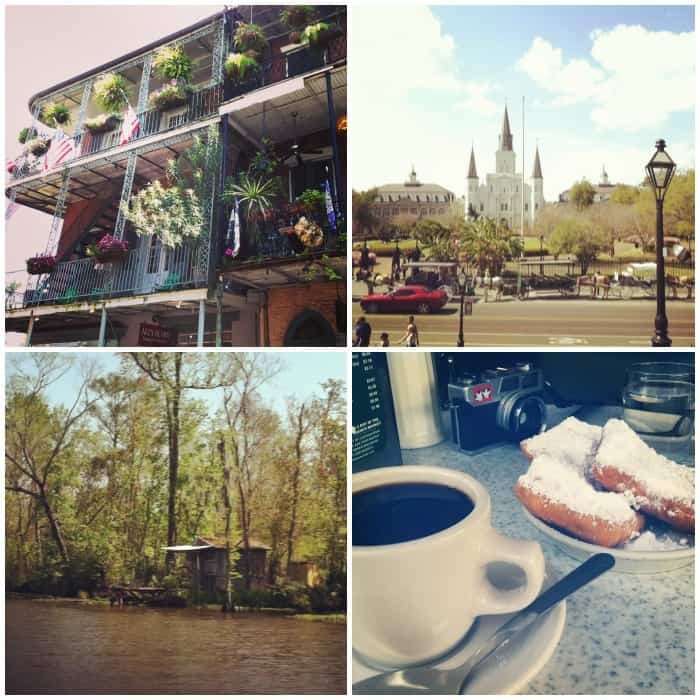 No trip to New Orleans is complete without a Jean Lafitte Swamp Tour. 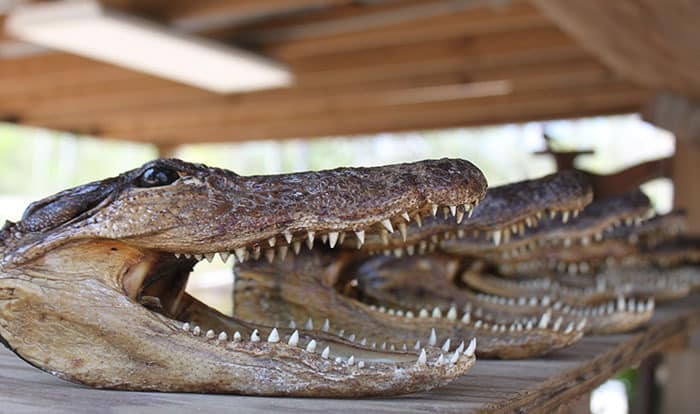 After a small drive out of the French Quarter I hopped on a boat and floated down the swamp to see 11-foot alligators and sunbathing turtles. You could even hold a baby alligator! The Witches Brew Tour was a ghost, witch, vampire, and voodoo tour that I took at night. 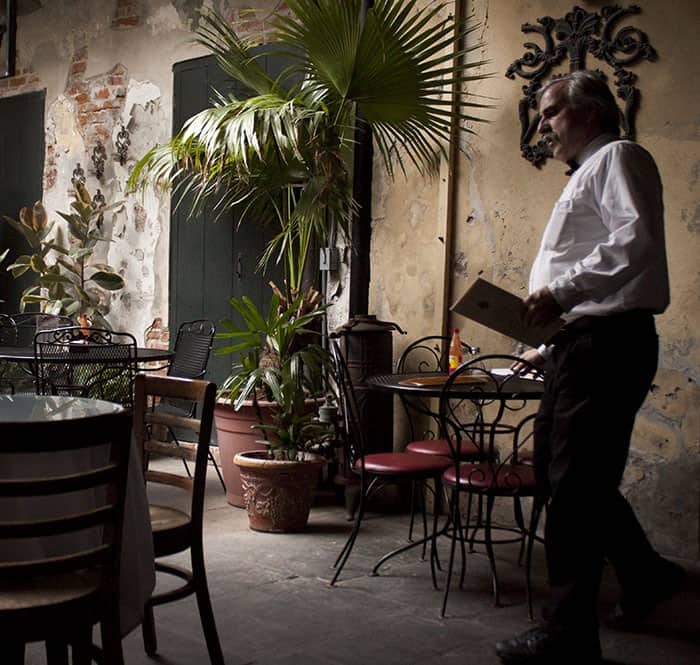 The tour guides new every nook and cranny of the French Quarter. I highly recommend this so you get a sense of the spooky spirits that haunt the streets around you (muahahah). Did I mention this was the first place I stopped at upon entering New Orleans? 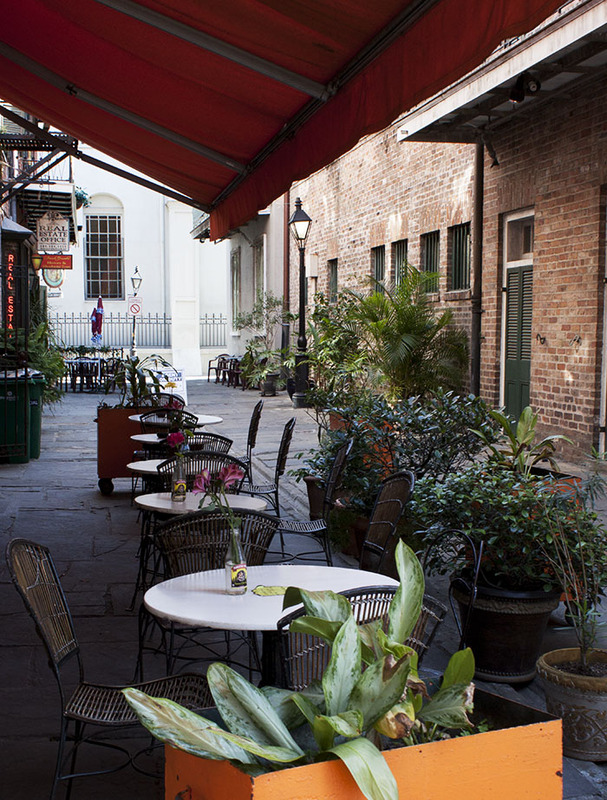 Napoleon House Bar & Cafe has been there since 1797 and makes the most delicious Italian muffuletta. 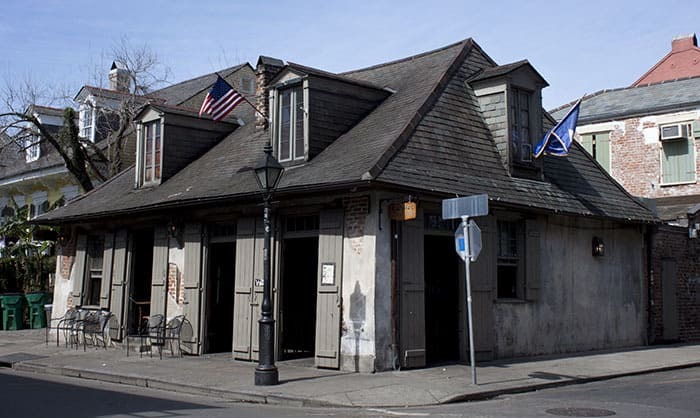 Stop by Lafitte’s Blacksmith Shop to have a drink at the oldest bar in the country, since 1722. Try to make it there on a night when Mike Hood is playing piano. You won’t be dissapointed, I promise. 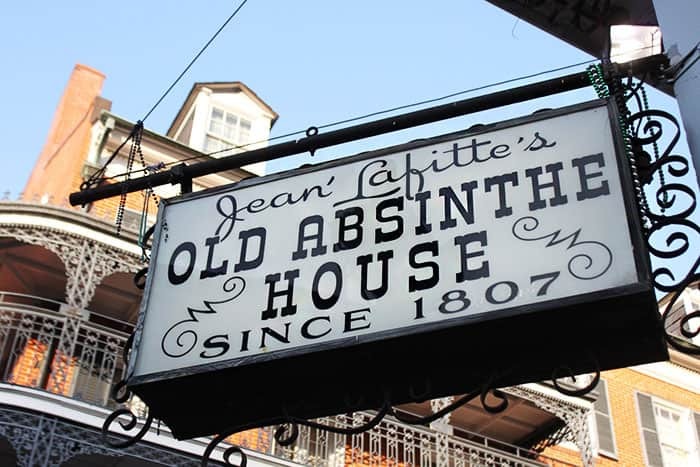 Keep your eye out for Jean Lafitte’s ghost in the flames of the fireplace. 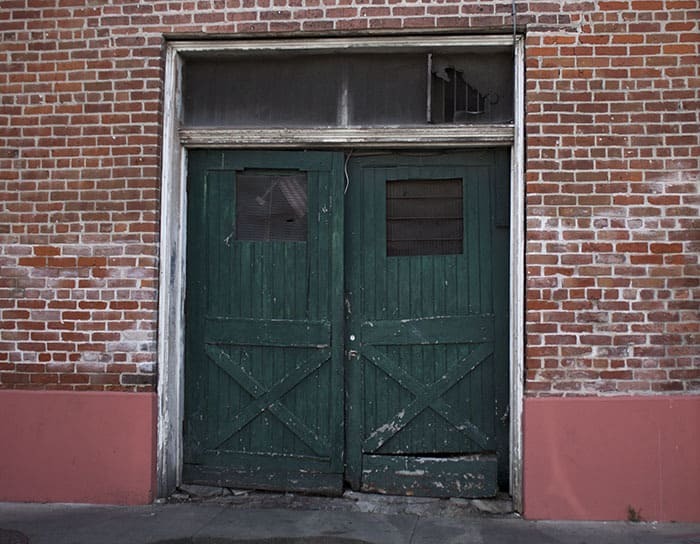 I became obsessed with photographing doors and balconies in this historical town. 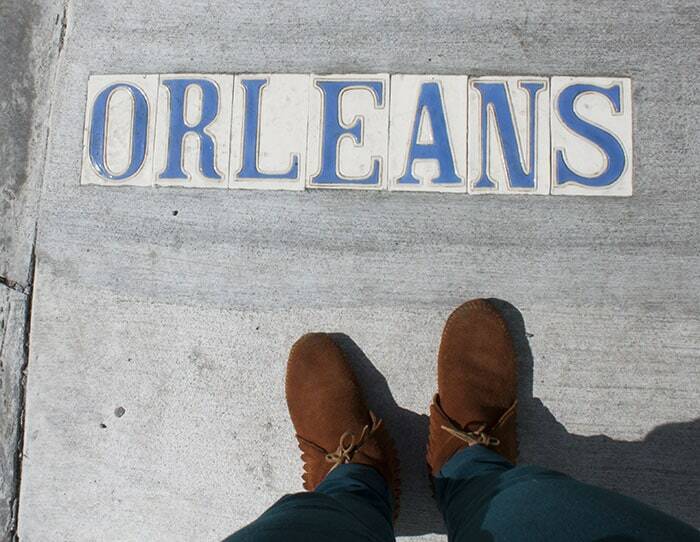 Begin and end your trip with beignets and Cafe Au Lait at Cafe Du Monde, and the originals bananas foster at Brennan’s. 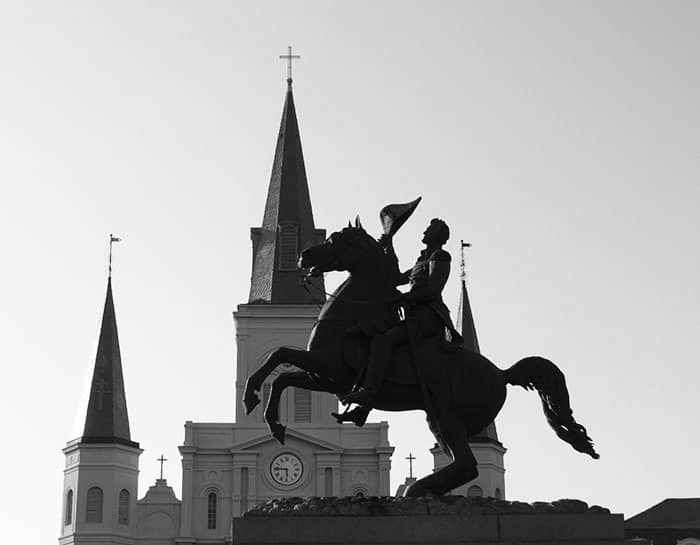 Thank you, New Orleans. I’ll surely be back soon. 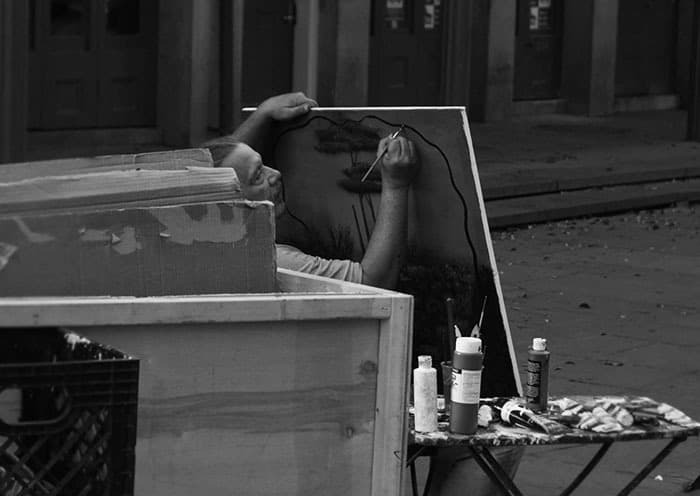 I’m glad you enjoyed our town. People seem to fall in love. I mean really…what is there NOT to love. Come back soon! Colleen this looks amazing! And that dog looks like it might be made out of yarn!